← Shop Disney Hasbro 6" Exclusives Live! 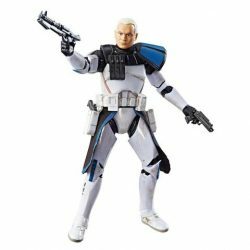 TBS6 [P3] 4-LOM IN STOCK At Amazon! If you need it, The Black Series [Phase III] 6″ 4-LOM is IN STOCK with Prime! Thanks to all who wrote in to let us know! ← TARGET Exclusive Solo "Imperial Forces" 6-Pack IN STOCK! “Pilots, Commanders And Droids! Oh My!” Complete! Kenner Series 6 Next! Our “Pilots, Commanders And Droids! Oh My!” marathon of the Star Wars Series 5 Vintage Kenner Mini Action Figures has concluded. This also means we’ve completed all of Kenner’s The Empire Strikes Back figures. If you need to catch up on any of them, all you need to do is click any thumbnail below, and it will take you to the archive. We’d once again like to thank you for your participation. Recounting all of your childhood memories with these unequaled action figures and sharing the wonderful experiences you’ve all had with them is priceless. Please keep adding to the discussions! Also, please begin to prepare yourselves for more as we dive into October’s “Jabba Don’t Preach” marathon where we look at the Series 6 figures. These reviews will focus on 17 Kenner action figures from the first wave of the Return Of The Jedi line and we’re very excited to tackle them. Our “Pilots, Commanders And Droids! Oh My!” marathon concludes with the incredible 4-LOM figure which started off as a mail-away figure. Relive your memories of this classic 1982 action figure in our Research Droids Reviews today. Be sure to add your own experiences to the conversation! Reminisce your own childhood stories of this figure in our comments. Share your life-changing vintage Kenner adolescent experiences with us! 4-LOM IN STOCK At Amazon! 4-LOM is back IN STOCK at Amazon for $19.99! Our “Pilots, Commanders And Droids! Oh My!” marathon continues with the brilliant Zuckuss figure. But you probably call him 4-LOM. Relive your memories of this classic 1982 action figure in our Research Droids Reviews today. Be sure to add your own experiences to the conversation! Reminisce your own childhood stories of this figure in our comments. Share your life-changing vintage Kenner adolescent experiences with us! 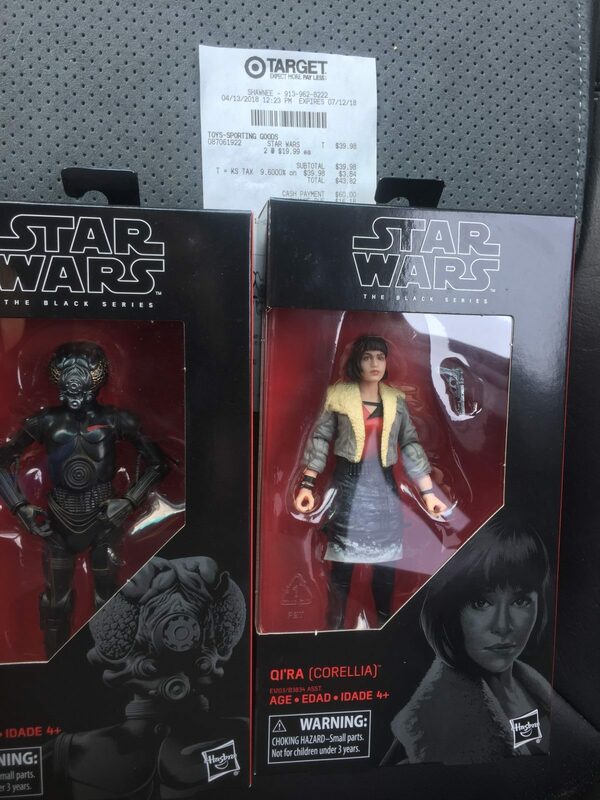 4-LOM IN STOCK At Hasbro Toy Shop! Hasbro Toy Shop has the sought after 4-LOM 6″ figure IN STOCK! Special thanks to friend Russ T. for the alert!! You Know What To Do: 4-LOM Listed $19.99 Again On Amazon! Sorry! We had to trigger our friends at BanthaSkull.com again. Hurry! 4-LOM is showing as able to order for $19.99 on Amazon yet again. Good luck! Special thanks to Matthew S. for the alert! The Black Series [Phase III] 4-LOM Is In Stock Again! Hurry! 4-LOM is showing as able to order for $19.99 on Amazon yet again. Good luck! Special thanks to friend Russ T. for the alert! ← BREAKING NEWS! 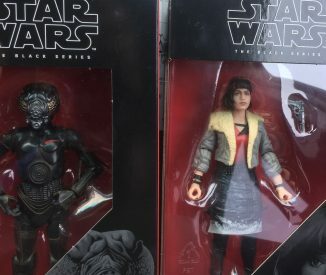 TVC Doctor Aphra SDCC Exclusive Confirmed! You Have Another Chance At TBS6 [P3] 4-LOM! Hurry! 4-LOM is showing as able to order for $19.99 on Amazon yet again. Good luck! Special thanks to JTA reader Duane K. for the alert! TBS6 [P3] 4-LOM Is BACK IN STOCK ON Amazon! Hurry! 4-LOM is showing as able to order for $19.99 on Amazon once again. Good luck! Check out The Black Series [Phase III] 4-LOM (67) 6-Inch figure, today’s Visual Guide update. Click below for a complete look at this figure, and don’t forget to also check out our full review right here. It took us long enough to secure this figure! Let’s look at 4-LOM in the 6″ line. Do you know about its secret feature? Find out more in our Research Droids Reviews today! Be sure to leave your thoughts in our comments section, vote in the poll or even comment about it on our Facebook page. Click the banner below for the direct link to the review! As always, you can also send your review requests via email if you’d like to see something that we didn’t cover yet. 4-LOM On Amazon For $19.99, But Some Can't Add It To Cart! 4-LOM is showing as able to order for $19.99 on Amazon, but some cannot add it to their carts. Good luck! UPDATE: Go to other seller options to add it to your cart! Thanks to Ben I. for the tip! TBS6 [P3] 4-LOM IN STOCK At JTA Sponsor Big Bad Toy Store! JTA site sponsor Big Bad Toy Store has The Black Series [Phase III] 4-LOM IN STOCK! Hurry! Pre-orders for The Black Series [Phase III] 4-LOM ARE LIVE! The figure ships June 14, 2018! THANKS TO ALL WHO WROTE IN! Use promo code HANSOLO for 15% off and FREE shipping. Hasbro Toy Shop has FINALLY added the product page for The Black Series [Phase III] 4-LOM figure. IT’S NOT IN STOCK at the moment, but you may want to keep an eye on it. You know how this works now. Special thanks to JTA reader Agustin for the tip! The Black Series [Phase III] 4-LOM Has Light-Up Eyes! It looks like Steve Evans worked in another Easter egg in The Black Series 6″ line. This time it affects 4-LOM. Instagram user kylocollector has posted proof that 4-LOM’s eyes light up (with glow in the dark technology, not batteries obviously)! How cool is this? Special thanks to JTA reader cybereye for the alert! ← Will My Deck Cannon Accessory Attach To The Railing Of My New Barge? 4-LOM is tonight’s Visual Guide update, rounding out all of the bounty hunters from the famous Executor scene. Click below for a complete look at this Sideshow Collectibles Sixth Scale figure. Make sure to also visit our full review right here. 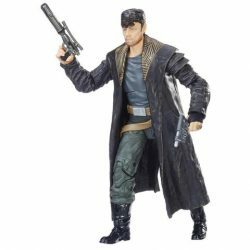 New Amazon Pages For Upcoming TBS6"
After some digging, I was able to find some Amazon pages for some upcoming The Black Series 6″ Figures. I was also able to find the Amazon pages for the upcoming Solo 6″ figures which include 2 actual names. So without further ado, here are the pages in case you wish to add them to your lists: DJ (Canto Bight), Clone Captain Rex, 4-LOM, (and others which JTA cannot post now). Unfortunately, I couldn’t find working links to Rey (Island Journey) or Grand Moff Tarkin, but we’ll keep you updated! Good friend and JTA reader Josh Makison has gifted me another incredible item after I drooled over the one he made for himself (as we highlighted here recently). Knowing my love for the Disney Parks 4-LOM sculpt, Josh went above and beyond and also customized a vintage Kenner Zuckuss figure for me by repainting the BAD sculpt and placing it on mock vintage Kenner card back. Hasbro – please pay close attention. You need to get this sculpt into the Hasbro line and do the same EXACT thing. It’s the most screen accurate sculpt of this character to date. We still need a TVC 4-LOM (update) and Zuckuss (first time offering) and this is the only way to do 4-LOM (vintage Zuckuss) in my opinion. Thank you!